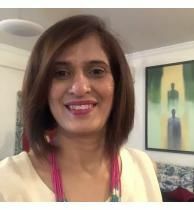 Veda Vyas is a Life Coach with a passion for creating tangible transformation for each and every client in shortest possible time. He is a unique combination of a Scientist & Spiritualist, constantly creating unique coaching methods synergizing eastern and western concepts and practices of applied spirituality, philosophy & psychology. Helping clients transform & reinvent life sometimes in a few hours. Started his career as a scientist at BARC a nuclear research center. During this period he was associated with Brahma Kumaris Organisation, first as a spiritual student and later as faculty. 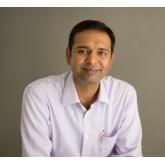 He conducted meditation programs for scientists & their families for about 9 years during his career as a scientist. Later conducting training programs and lectures for scientists, engineers, and managers in research centers, industry, corporate, associations and educational institutions traveling all over India as part of Scientists & Engineers Wing of Brahma Kumaris. He has wide exposure to various spiritual practices like Isha, Vipasanna, Reiki, Radical forgiveness, etc. During his practice as Life Coach, he observed that every kind of stress in human life is seen as weakness/blind spot, a meaningful belief conflicting with personal reality but in fact, it is potential strength that can change their life. He helps clients align their belief with reality, suddenly it becomes a solution or strength working for clients instead of draining time, energy, concentration, health, and performance. He uses innovative custom guided meditation methods he has developed to transform difficult stress into strength in a matter of few hours getting results for clients in a short span of a few weeks. 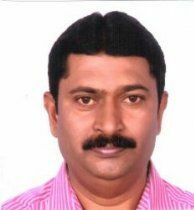 He has a Masters degree in Philosophy (Osmania University) and Bachelors in Engineering(Mech.) from Osmania University College of Engineering, Hyderabad. He is a Certified Enneagram practitioner. He is a proud member of BNI (Business Network International) helping entrepreneurs not only achieve but redefine their potential and dreams. Has 15 years experience in Personal Development and over 5 years as a professional Life Coach & Healer. 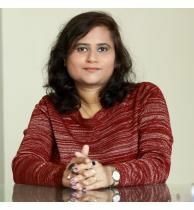 "His Life Coaching tips and techniques gave me immense support in my life and he is very great at his work :-)"
Ms. Meena Fon. . .
Banjara Hills, . . .
Mr. Surya Gide. . .